Use this guide to find information on starting a business. Michigan Small Business Development Center (SBDC). Greater Washtenaw Regional Office is located on campus at WCC and provides free one-on-one business counseling. What does it take to start a business? What do you need to know? How does an idea become a plan? What is your overall plan? of your industry? Who is your competition? Who is your target market? What is your product or service? Why do your customers need or want it? What is the management plan and structure? What labor, facilities, equipment, and materials are required for your product or service? How will you fund the company? What are your current and future financial projections? Bplans contains the largest single online collection of free sample business plans. In addition, it has helpful tools and guides to help you manage your business better. Free, open source templates allow you to describe, design, challenge, invent, and pivot your business model. Map out your business plan. Download templates for creating your own Business Model Canvas. This series of step-by-step start up guides cover auto detailing, food trucks, lawn care, graphic design, and more. Search by business (coffee shop) or industry (automotive) to find sample business plans. A free guide on starting an LLC in the state of Michigan with links to state agencies and FAQs. Learn to use a SWOT (Strengths, Weaknesses, Opportunities, and Threats) analysis to choose the best strategies to help your business reach its long-term goals. Resources include feature stories, top advisers, articles written by entrepreneurs, and links to other resources of interest. MeL Business provides support and resources for entrepreneurs and small businesses as they contribute to the Michigan and global economies. Explore core eResources, identify key partners, conduct research, and connect with your local library to succeed in running your business. Free online resources include sample business plans, marketing plans, and financial forecasts. Register for area trainings or one-on-on support with the SBDC at WCC. SBDC Net is a great resource with links for websites and sample business plans. 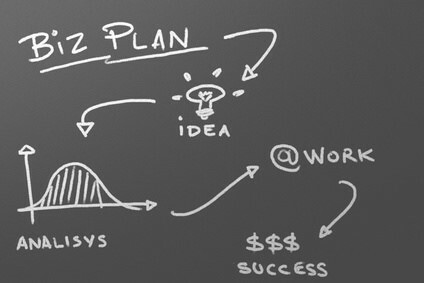 Templates for business plans from the small business start up experts at SCORE. Browse business ideas by category to view detailed guides and get inspiration for your new business. One-stop shop for information on small business start-up, financing, expansion, and more. Includes help in locating regional resources. Pitch@WCC is an event that provides students and community members an opportunity to strengthen their entrepreneurial skills and advance their business concepts toward becoming an operating and profitable business. Cash prizes from $250 - $1500! For information and registration email: entrepreneurship@wccnet.edu. A competition looking for the best new business concepts from local and global entrepreneurs. With more than $1 million in cash winnings, plus in-kind awards of ser­vices, staffing and soft­ware, the AMIC is the world’s largest busi­ness plan competition. Four-minute pitches will be evaluated by an experienced panel of judges. The best presenter will be awarded a cash prize. Everyone will receive constructive feedback for moving your business idea forward. EMU and high school students compete in separate categories for a chance at thousands in prize money, with the top three placers presenting their plans at the Sesi Entrepreneurship Conference in February. Annual Franchise 500 ranking reveals the impact of the newest trends and the industries poised for growth. Thinking about buying a franchise? Before you sign on the dotted line, read this guide for advice on evaluating franchise opportunities. Searchable by investment amount, industry and country, this Web site provides the "largest directory of franchise opportunities." Includes resources such as finance, glossary, a net worth calculator, legal and more. Find information, advice, and resources on franchise opportunities. These free, online courses helps you gain the real-life IT and business skills needed to start or grow your business, in your own time, at your own pace. Free online courses taken from a selection of MIT's entrepreneurship offerings. Choose from over 90 free online courses in topics ranging from marketing, management, financing, and more. AtoZdatabases is the Premier Job Search, Reference & Mailing List Database including 30 million business & executive profiles & 220 million residents. Ideal for sales leads, mailing lists, market research, employment opportunities, finding friends and relatives, and much more! This database helps you research companies, industries and economies around the world, including data sets and charts as well as case studies. This database contains the demographics of geographical areas, and allows you to research individuals and businesses and creates market research lists and reports. Entrepreneurial Studies Source is an essential database for business students and researchers, providing the latest insights on entrepreneurship and small businesses topics. Use this database to find sample business plans and industry information. This database is an online database designed to assist the general public in legal matters of all kinds. It includes exclusive full text for many top consumer legal reference books, as well as thousands of legal forms.